President Jack Chambers expects approximately 400 cars and 10,000 visitors at the largest annual event in downtown Nelson. Sep. 9, 2015 6:00 p.m.
Once the Nelson Road Kings’ 13th annual Queen City Cruise gets into full swing this weekend, if everything goes according to plan there will be approximately 400 cars and over 10,000 participants crowded into the streets of downtown Nelson. That makes it the largest annual local event, second only to Shambhala Music Festival in the West Kootenay. “We’re going to have everything from re-finished old wrecks to really high-end luxury vehicles. We had one car last year that went on to sell for half a million dollars. I think we have a reputation for putting on a pretty good show in vintage car circles,” Road Kings president Jack Chambers told the Star. And Saturday afternoon’s Show and Shine event will feature some surprising vehicles. And residents will also get a chance to check out retired championship speedboat Ladybird, which Touchstones Nelson will have on a trailer display. “I’d love to see it out there,” said Chambers. One of the highlights of the weekend for Chambers is when the cars all congregate at Mountain Lakes Seniors Community, so the owners can share their hot rods with the generation that originally owned them. Chambers said he’s thrilled at the forecast, because the weather is supposed to cooperate. The multi-day event starts at Bogustown India at 6 p.m. on Friday night, with a parade planned to downtown. That will be followed the next day by the Show and Shine, which will run from 10 a.m. to 3 p.m. During that time there will be a poker walk for spouses with a $500 prize. That evening participants will head out on a poker run between Nelson and Six Mile, then head to Mountain Lakes. The evening will conclude with the Rooftop Shaker at the Hume Hotel. For more information visit nelsonroadkings.com. 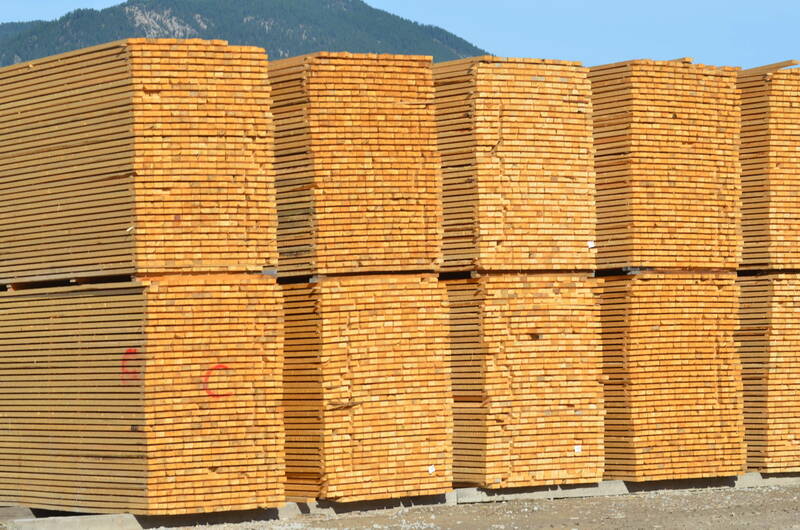 Canfor temporarily shutting down lumber mills across B.C.